Your Apple ID is a combination of an email address and a password that you use to access Apple services. It is possible to use Apple devices without an Apple ID, although you won’t be able to access many of the benefits of the online services such as the app store, iTunes or iCloud. 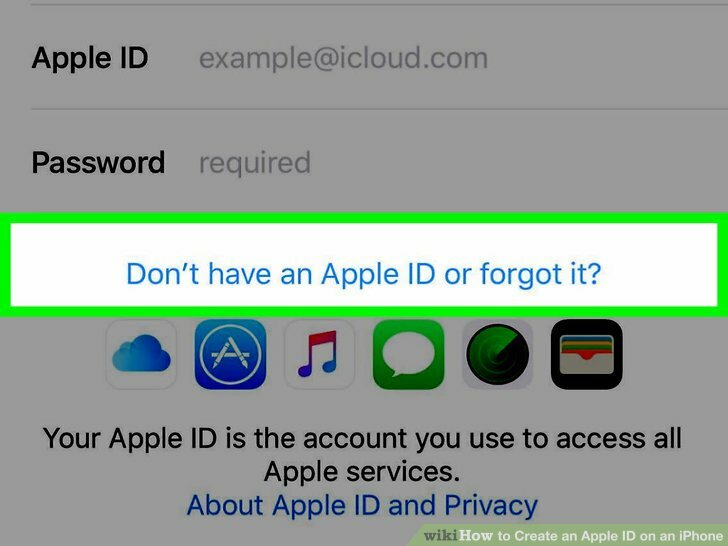 There are three ways to create your Apple ID. If you are setting up a new device, you click on the link “Don’t have an Apple ID or forgot it?” and you will be directed to create a new Apple ID. When setting it up using iTunes on a Mac or PC, ensure you have the latest version and got to the menu bar on top of your computer, click on Account and select Sign In from the drop down menu and follow the instructions online. You can also set it up using iTunes Store app on your device, just scroll to the bottom and tap Sign In and Create New Apple ID. Open a web browser and visit appleid.apple.com. Near the top of the page you can click on Create Your Apple ID and follow the process through. A valid email address – this is going to be your Apple ID username and you might be using it for a long time. It is best to use an email address that you will have access to for a long time – so using an email address for a workplace or one tied to a specific Internet provider might not be the best option. A strong password – a minimum of 8 characters, a capital letter and a number/numbers. Anyone can forget a password so it’s a good idea to write it down and keep a copy safe somewhere. Credit card details. You may have the option to choose “none” and not provide a card at all. Your credit card will never be charged for any purchase unless you explicitly agree to it. Rescue email address. This is optional but highly recommended. If the email address used for your Apple ID is ever unreachable then your rescue email address can be used to recover your account easily. DO NOT forget your Apple ID, password or the answers to the security questions as they are required when you set up a new device, make a purchase or use any Apple service. Forgetting your Apple ID password and not having access to the email address associated with it (and the rescue email address if it has been added) is a worst case scenario and could lead to losing access to your precious photos and other data.